Goldencents and Kevin Krigger in the Winners Circle at the 2013 Sham Stakes. 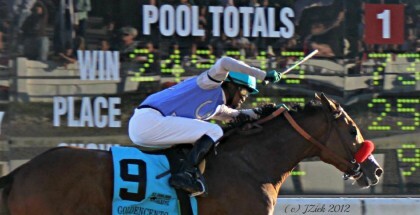 Goldencents took first place in the 2013 Sham Stakes. 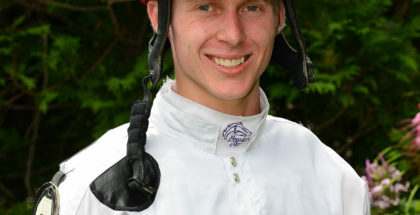 Jockey Kevin Krigger rode Goldencents to a flawless finish. Trainer Doug O’Neill claims Goldencents is doing great after his victory but isn’t sure when the colt’s next race will take place. 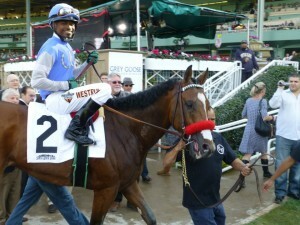 Goldencents made his 2013 debut at the Sham Stakes in Santa Anita. 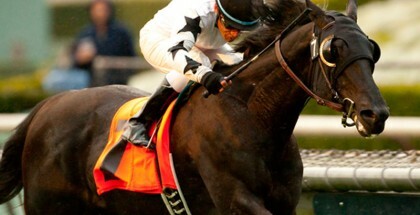 The two-year-old ran against four other horses, including two trained by the mighty Bob Baffert. Manando broke from the gate with extreme speed but Goldencents caught him in the end and finished first in the $100,000 2013 Sham Stakes. 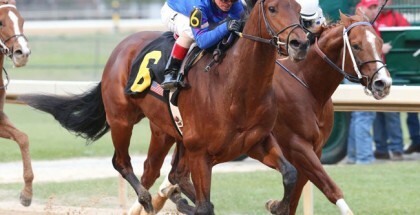 Goldencents gained ten points towards his entry into the 2013 Kentucky Derby by winning the Sham Stakes. He now is the top leader on the Run For The Roses points board with 24 points total. Lady and The Track would like to wish Doug O’Neill, W.C. Racing, Kenney, Dave, and Rap Racing, jockey Kevin Krigger, and the awesome Goldencents the best of luck in their pursuit in the 2013 Triple Crown.